It’s pretty common to bump into cultural differences when you travel, and even more so to uncover them if you’re living and working in a foreign country – over the years I have certainly discovered a truckload of them, often about topics I never would have imagined – like how Australians wash their dishes (true story!) or how Germans believe an open window causes illness … and the list goes on. That’s why it was so fun to talk to three people for this episode with experiences across many different countries – across four continents – and hear their interesting tales! I really love a good cultural difference. It’s true! I find the differences in everyday life around the world utterly fascinating and it’s one of the reasons I keep travelling, trying to hunt more down. 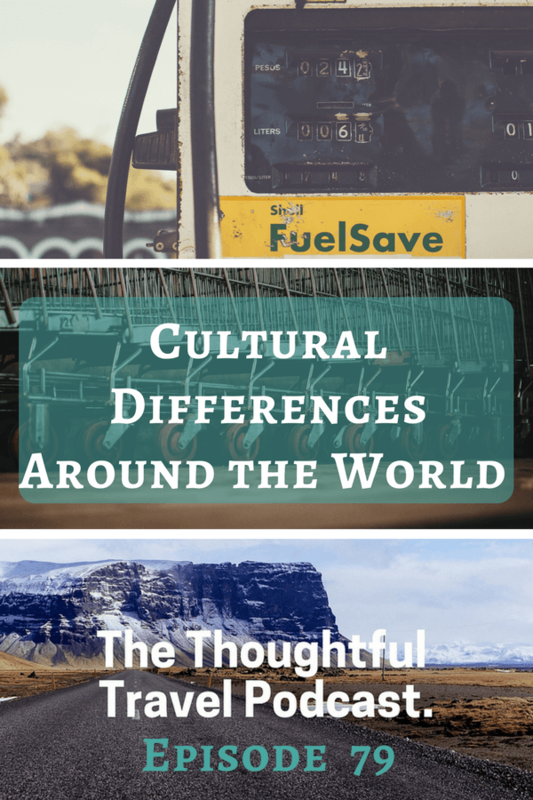 In Episode 79 of The Thoughtful Travel Podcast I chat with three other travellers who have also discovered some interesting cultural differences on their travels. First up is Reeva Cutting, who now lives in Australia but grew up in South Africa. She experienced a few differences living in each of these cultures and they’re my favourite kind, about everyday things like filling a car with petrol and going shopping. Next up, Luke Mackin compares experiences in rural Indonesia to his family’s return trips to the United States. His young kids have a different perspective because the US to them is just a place they visit, so it seems kind of amazing! Finally, I talk to James Thomas, who has now lived in Taiwan for several decades after growing up in the United States, and has some interesting observations about the differences between the two places, as well as some of the differences between Taiwan and mainland China. Episode 12 – Culture Clash!